Organization! With managing multiple buildings and a wide range of tenants from entertainment facilities to residential, having service technicians on call 24/7, day or night, creates a sense of comfort and stability. Having a design engineer who understands the properties and challenges of working with older buildings. Recently, as part of the $16 million transformation, our Cleveland Office was part of the process of bringing about the new look of the downtown area. We moved existing ductwork so that the retro "stick-built" sign structure, featuring 9-foot letters and rising to a height of 40 feet could be erected on top of the buildings at the corner of Euclid Avenue paying homage to Cleveland's 1920's roots. 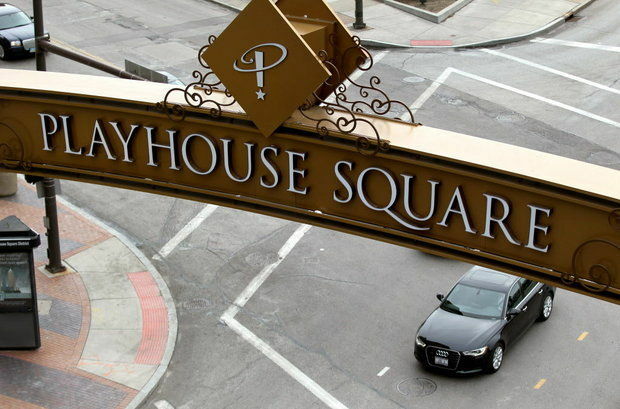 We have had a partnership with PlayhouseSquare Real Estate for many years and continue to work with them today to help them meet the needs of their buildings and tenants.